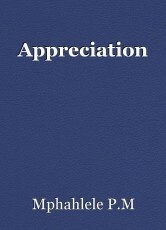 What is the use of being appreciated? Who are you to please everyone? © Copyright 2019 Mphahlele P.M. All rights reserved.